Light displacement, low wetted surface, big sail area and high stability (but not bulb, 3200 kg blade keel for good weigh distribution) are the ingredients of this project. So water lines are thinking to give max prestations with real wind about 8 to 11 knot into all direction. 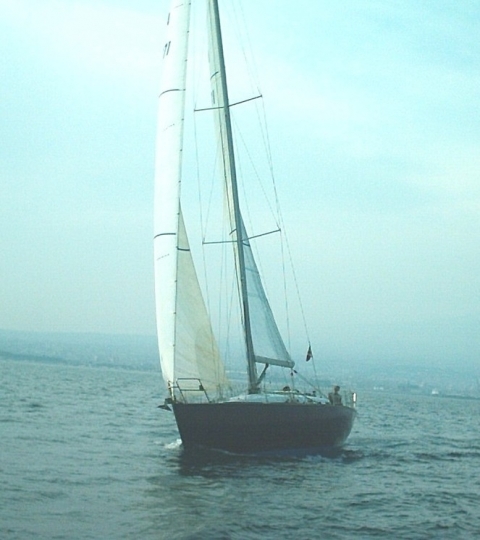 The keel is thinking to have the minimum resistance while boat goes against the wind. 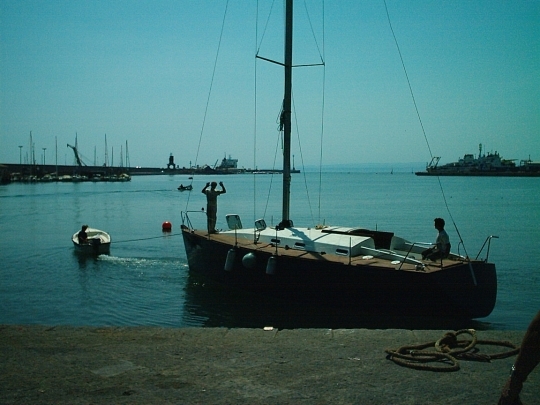 All these factor contribute to create a very fast boat in much of wind conditions. At now exist only one boat launching in 2009 and give me very satisfactions in terms of speed, handly and all marines factors. It is a modern cold-moulded wooden construction. This give very robustness and rigidity at the boat. Working Time: about 3 years (two hours per day). I offer a costant email helping for all construction. Very essential Interior, but comfortable and prestigious (it is characteristic of the wood ). 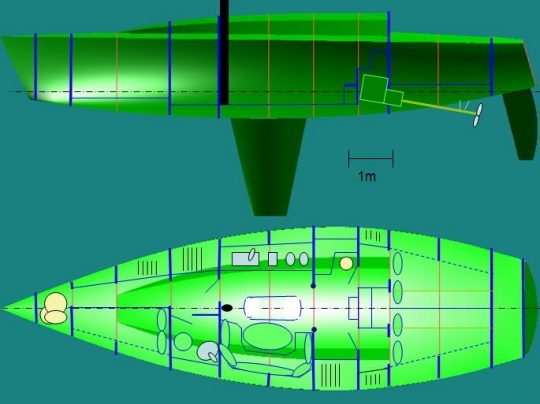 So the interior to be combine to the boat and contribute at the structure.